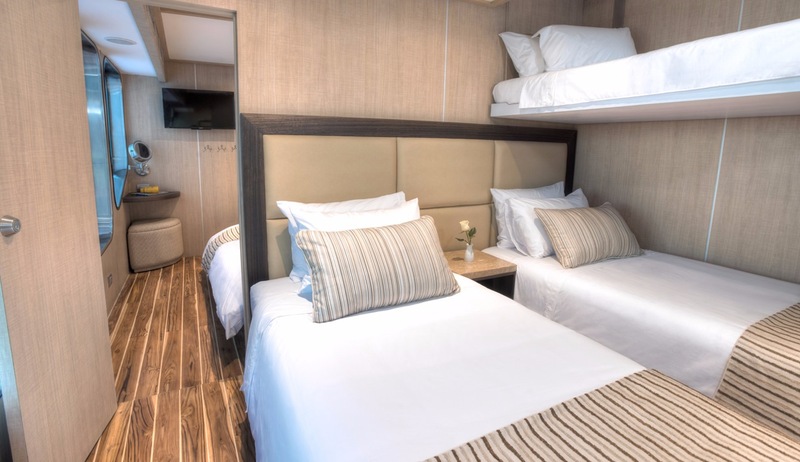 Origin will combine modern sophistication and a high level of comfort and service, with quality guided land excursions in small groups, gastronomical experiences, exciting physical activities and a dose of intellectual science providing guests a life enriching experience. 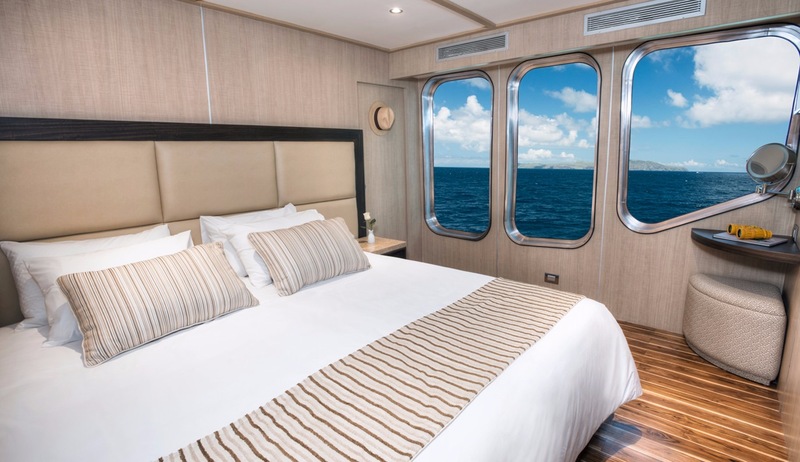 For guests with a highly evolved lifestyle, MV ORIGIN features: Experienced crew and high level Captain, Two expert naturalist guides and a Concierge to attend to your every need Gourmet style meals, indoor and al-fresco dining, Open bar policy, Sun deck with Jacuzzi, wet bar, BBQ, Spacious social areas, satellite TV, ten cabins with panoramic windows located all on one deck Fitness center with cardio equipment, Masseuse (additional charge) Multiple kayaks and stand up paddle boards, Wet suits and snorkeling equipment cabin cleaned twice daily, laundry service available. 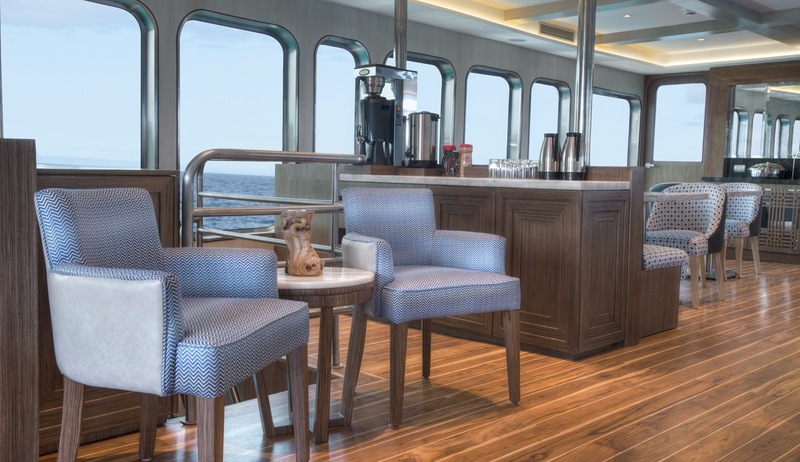 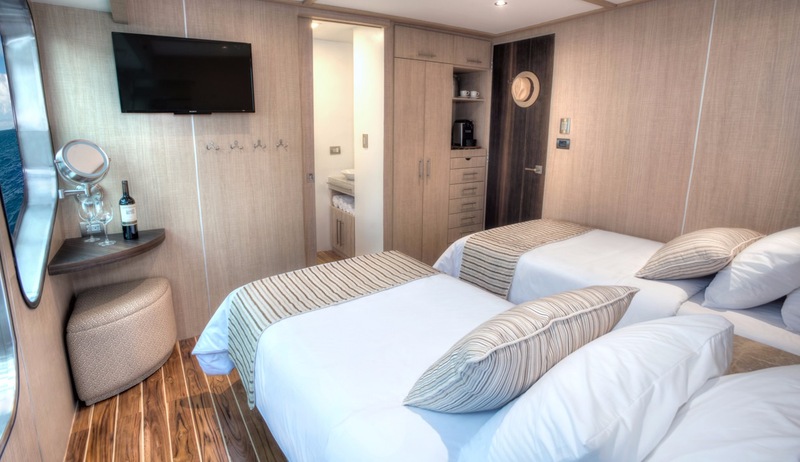 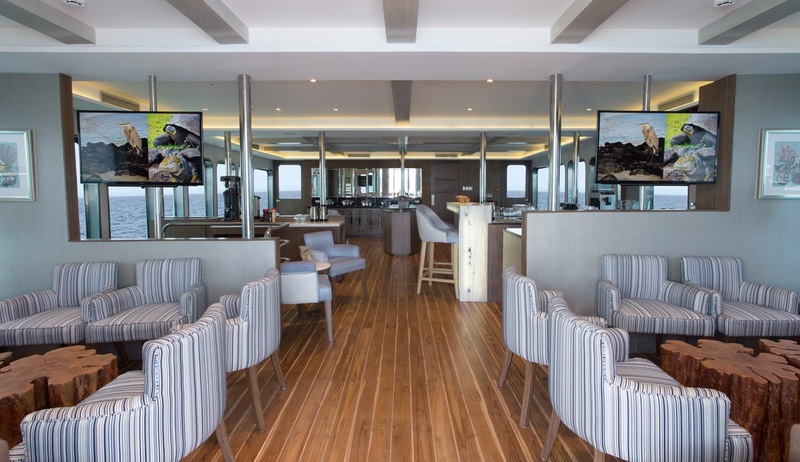 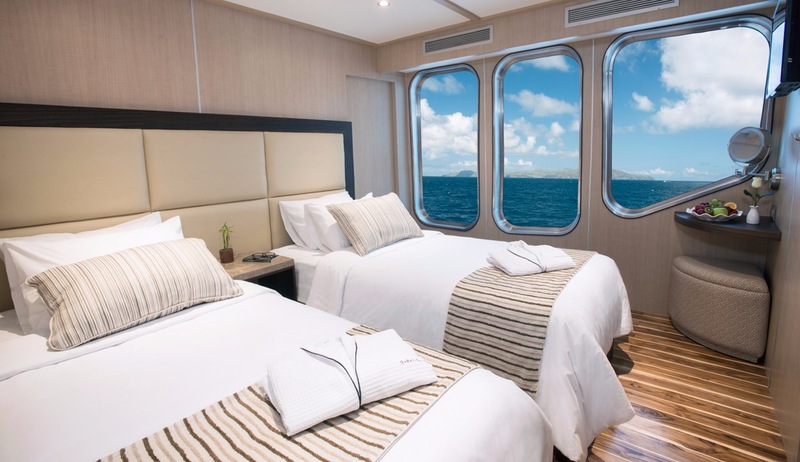 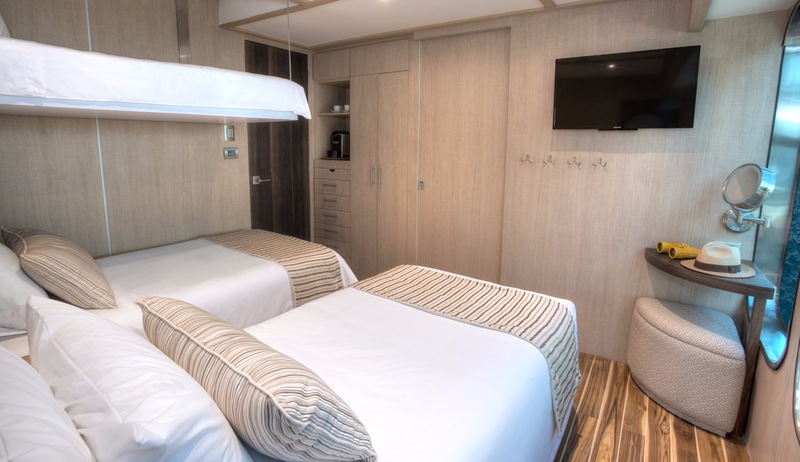 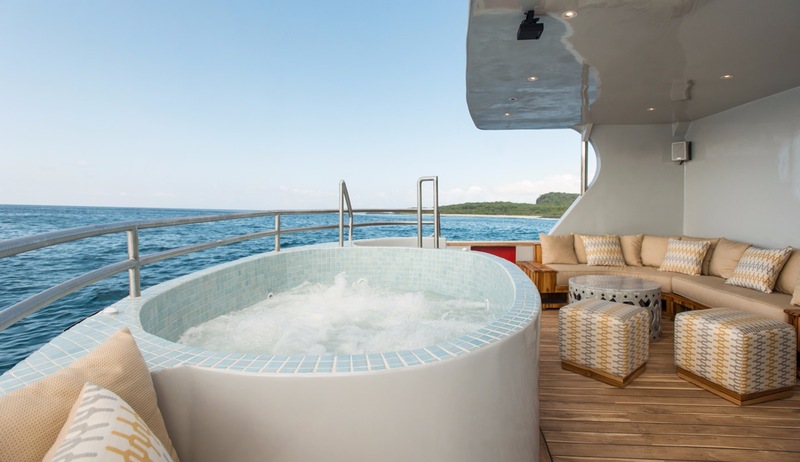 This latest luxury vessel to sail in the Galapagos islands will leave on its inaugural cruise in January 2016.